Christmas Day is just three weeks away so it’s timely to share this year’s Christmas Gift Guide for female road cyclists. I always enjoy compiling this list and choose things I’d like to receive from Santa Claus. I hope it helps you find that perfect gift for the cycling-obsessed roadies in your life. This gorgeous bike is my top pick for this Christmas. 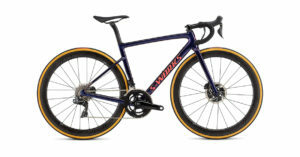 It’s an amazing machine and there’s also a more affordable version of it available from Specialized as well. 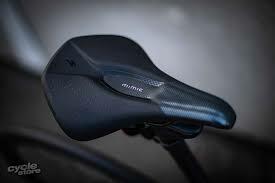 This is a new women’s saddle from Specialized that I haven’t had a chance to try as yet but the theory behind it sounds awesome. It has a patented design that is lab-tested to ensure blood flow to sensitive arteries and aims to lessen vaginal discomfort. A female roadie can never have too much cycling kit and the Women Who Cycle custom kit is an ideal addition to the collection. I love wearing T-shirts and my favourite ones all feature bicycles. Apres Velo has a large range of designs and colours ranging from small to XL. 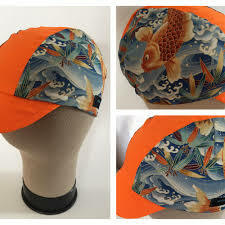 In October this year I was lucky enough to go to Japan with Wheel Women on a fantastic tour and I just love these cycling caps featuring gorgeous Japanese fabrics. 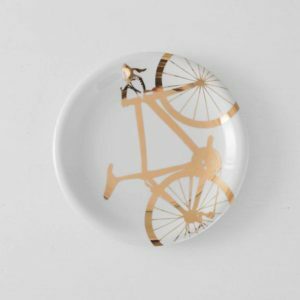 This is a perfect gift for the bicycle-obsessed woman who has everything but I suspect you’d need to buy her a set of gold bicycle plates rather than just one! 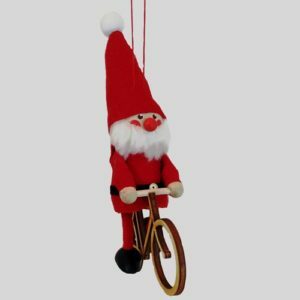 I am a self-confessed Christmas tragic and have a huge collection of Christmas decorations and would love to add this cute Scandinavian bicycle riding Santa. Unfortunately this site only ships to the US so I won’t be getting one this year. 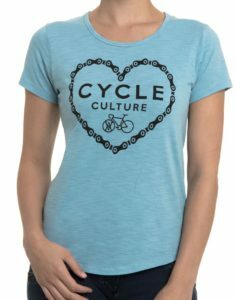 For the female roadie that has absolutely everything would love you to make a donation to my favourite bicycle charity World Bicycle Relief in her name. They’re making a huge difference providing bicycles in Africa. Share your ideas for the Christmas Gift Guide for female road cyclists via comments or the Women Who Cycle Facebook page.